The Patented Airfloater manufactured in Italy under licence by CARTONI is designed to avoid straining the camerman's back and shoulders simulating active shoulder-shots, realistic points of view and total freedom of movement. 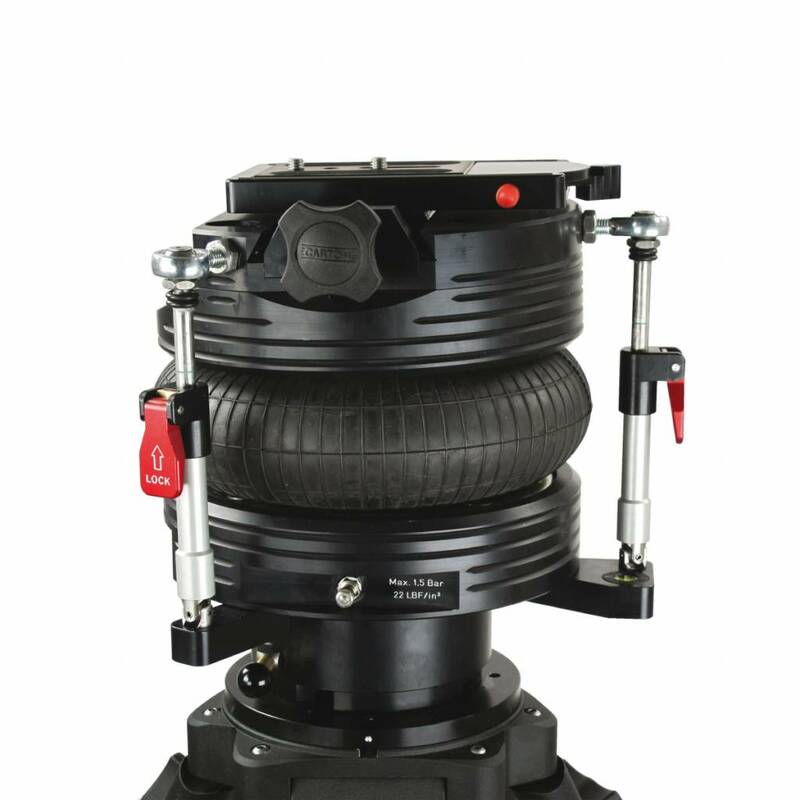 Even with the heaviest camera configuration the Airfloater is incredibly easy to handle and operate! You can pan a full 360° and tilt 18° in any direction the red knobs are used to lock the the tilt. The Airfloater is equipped with a variety of base attachments: Chapman/Whitworth bolt, 4 bore Vinten holes, 300 mm Mitchell with castle nut. The platform of the Airfloater is a quick-release European base plate. 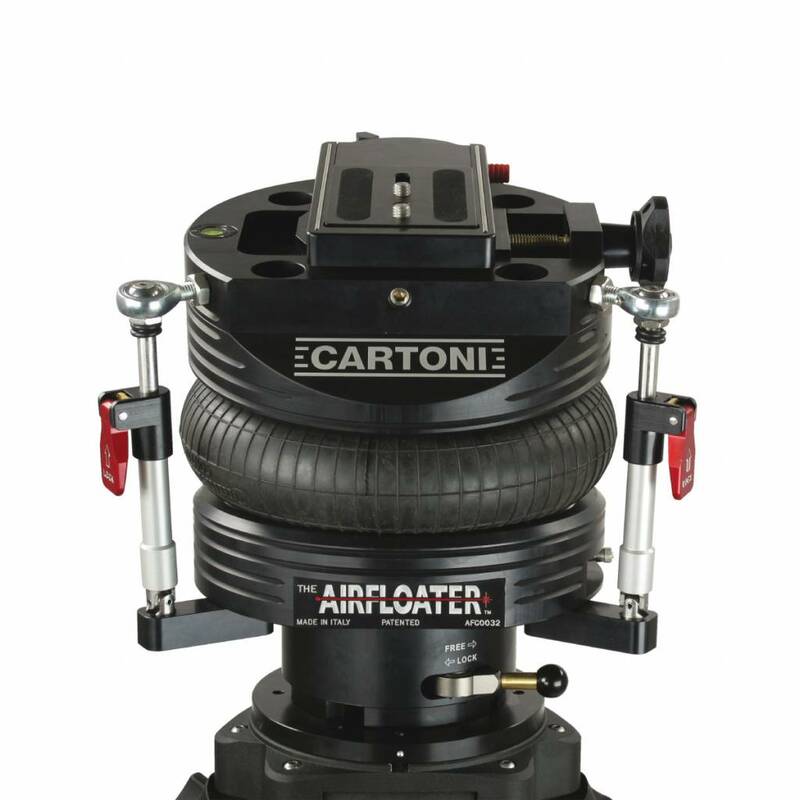 The Airfloater has nearly the same dimensions as a conventional Fluid Head.